What exactly is homoeopathy and how does it work? Patients of all ages, who have experienced help through this healing method, would like to have this question answered. There are many volumes of literature available to the grown ups among them to find information and form their own opinion. Yet it is difficult to find any material on homoeopathy suitable for children. This book, specifically written for children of primary school age, tries to do this with the help of a little story. This booklet contains many vivid pictures and can either be read to the children, or by the children themselves. It answers the most important questions about homoeopathy in an understandable and appropriate way. 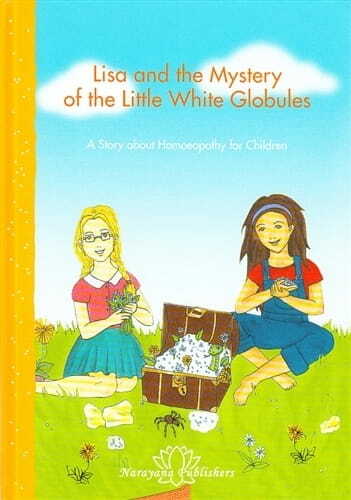 "The story is light in tone, but covers many areas, showing that homeopathy can work on animals as easily as on humans. In a disarmingly simple sentence the homeopathic globules are likened to “little memory cards in a computer. They store what healing properties there are in a plant. And our body is able to read it.” This is Lisa’s insight. She later goes on to unravel the mystery of how the remedies are made, and starts her own research project, with Fiona."